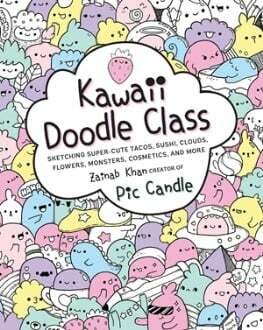 Kawaii Doodle Class + Other Fun Drawing Books for Kids! We are Kawaii obsessed around here. If you are not familiar with Kawaii art, it’s an adorable art form that originated in Japan but has become very popular world wide, especially with young doodlers like my daughter. We wanted to share these books today because they would make great gifts for any young artists! The Japanese word kawaii translates to “cute,” and this how-to book is chock-full of super-adorable images of tacos, sushi, smoothies, clouds, rainbows, cacti, doodle monsters, Christmas trees, lipsticks, teacups, and more for your adoration. Popular kawaii artist Zainab Khan shows you how to draw 75 super-cute characters with simple step-by-step illustrations and instructions. 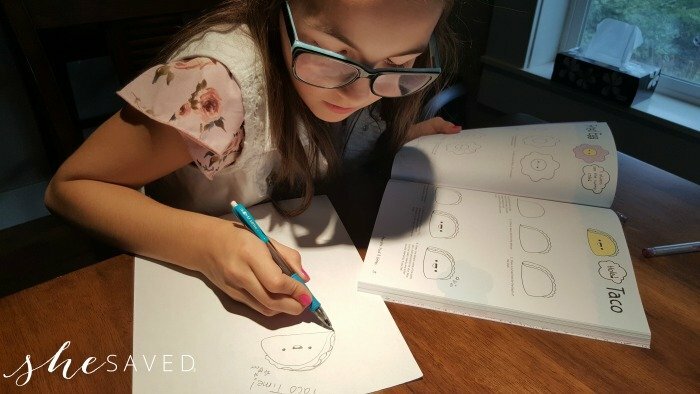 She has also included fun search-and-find images and inspiration boards that show you how to give your characters different facial expressions and zany accessories. Cat lovers unite! 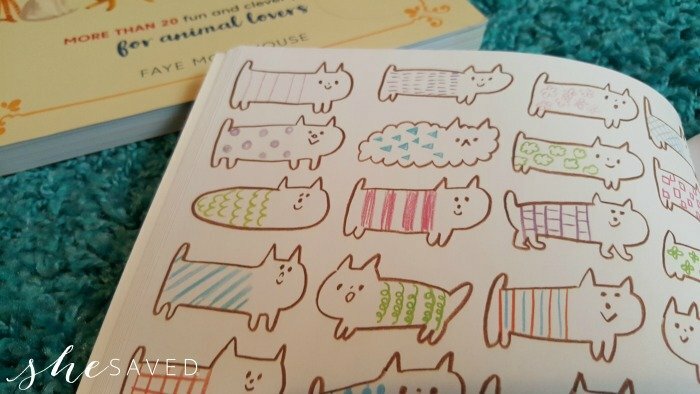 Now you can doodle away your days like never-before with of fun prompts for doodling, drawing, and decorating hundreds of kitty cats. 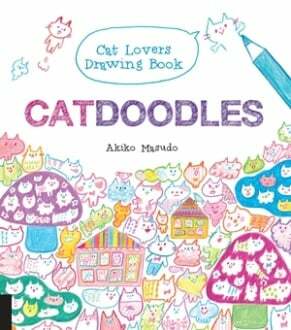 From cat feelings to cat colors, and cat dances to cats clothing, this drawing book will never let you down with its collection of fun, creative collection of prompts in the style of the beloved game Neko Atsume. 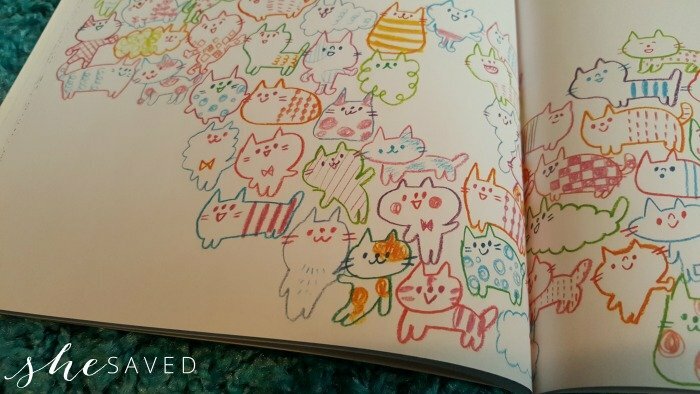 Scribble, doodle, draw, color, and love this cat-extravaganza. Our thoughts? This book is darling! So many fun cats to draw and see and we are big Neko Atsume fans, so this was instantly a hit with us. It’s also like a Where’s Waldo book, except the cat version. 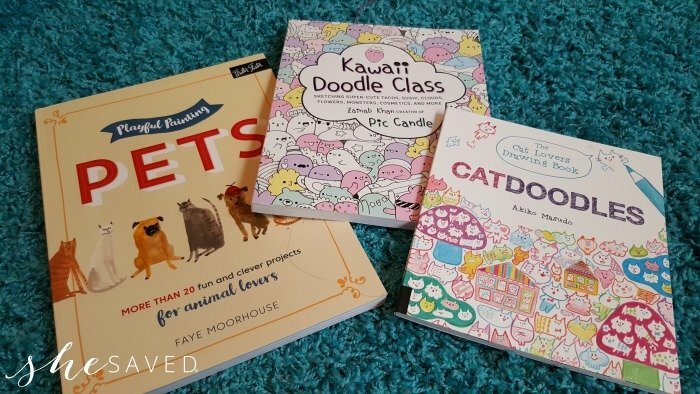 My daughter loved this book so much that we ended up buying two additional Catdoodles books as gifts for her fellow cat loving friends! From an affectionate French Bulldog and astute Boxer to a sassy tabby cat, if you love animals and art, then your tail will be wagging with each of our easy-to-learn lessons and the humor that goes with them. You’ll be an expert in gouache, pencil, and ink in no time! 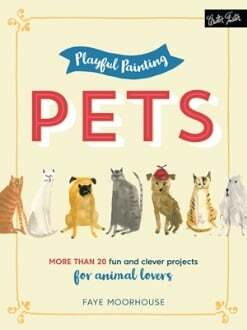 Playful Painting: Pets is the first title in Walter Foster’s new compact and portable Playful Painting series, and it is aimed at artists, doodlers, and painting enthusiasts. There has never been a better time to learn to paint and illustrate whimsical portraits of your pets and favorite animals! Startup is easy, with minimal tools and materials required. 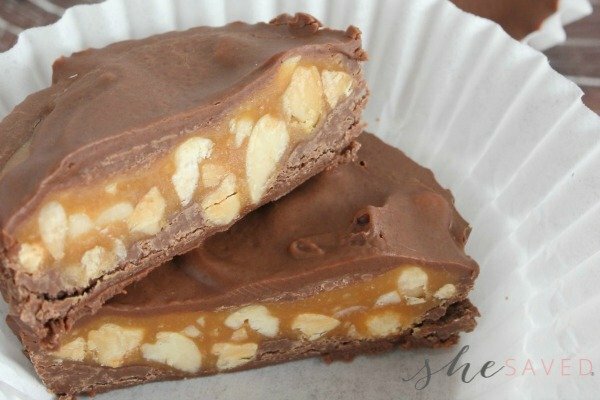 Our thoughts? This is a fantastic book, especially for anyone (young or old) interested in animal portrait or painting work. So fun and some really great instructions for whimsical animal art. Overall, some really fun books to get your little artist started!